The baggage limits on most international flights are one checked bag weighing 23kg (50lbs) or less and two carry-ons, including a personal item such as a computer bag, backpack, or purse. 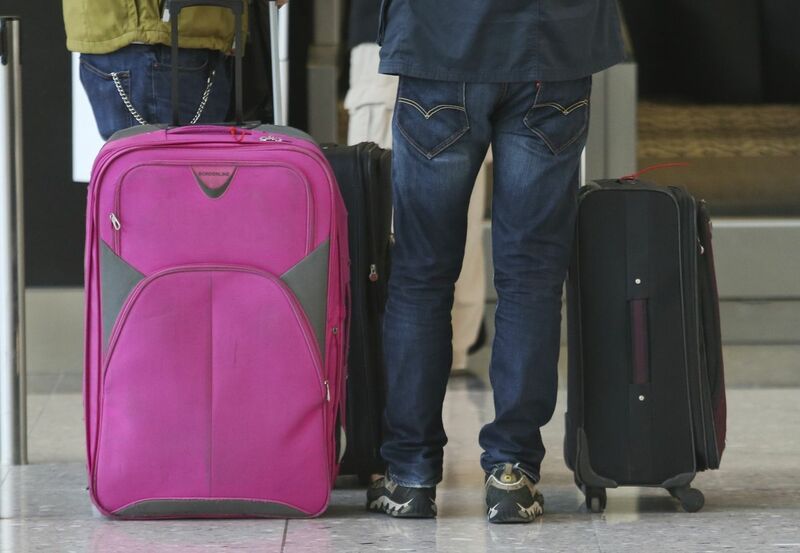 It is not unusual for international carriers to charge you for a second checked bag and some carriers have been known to flatly refuse a third bag. Overweight penalty charges differ from airline to airline. Domestic flights within Ecuador are also restrictive. At this time domestic flights to the Galápagos Islands, allows only one checked bag weighing up to 50 lbs. After this limit is exceeded they charge an Baggage Allowance. 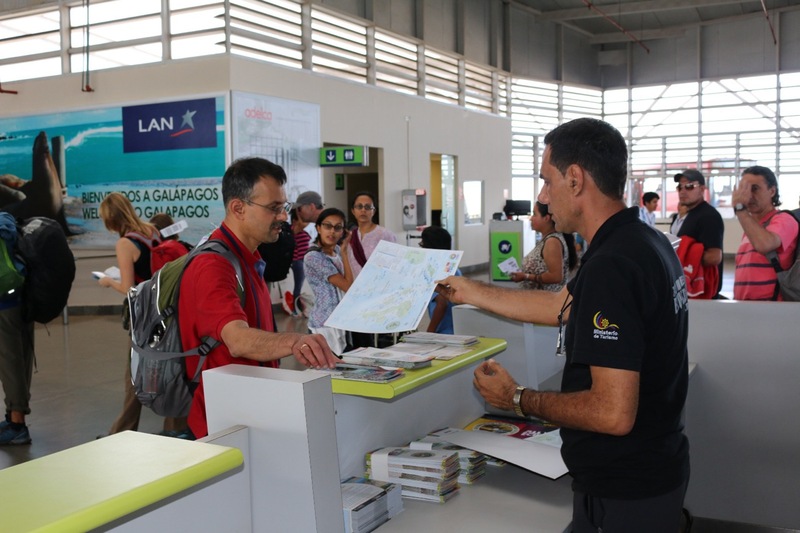 Because most flights arrive in Ecuador in the evening, visitors usually have to stay in Quito or Guayaquil for at least one overnight before continuing on to the Galapagos. There are lots of high quality hotels in both Quito and Guayaquil. Besides the large standard hotels in both Quito and Guayaquil there are also a number of smaller family operated lodgings. Although these hotels typically lack some the amenities of the larger hotels, they often more than make up for this with a much higher degree of cultural and personal experience. Often times the owners will greet you in person and this enables you to meet and get to know “real Ecuadorians” – very atypical in most of the larger hotels. There is a brand new international airport in Quito, which is located outside the city. You can take a tour of Quito’s incredibly beautiful churches, shop at the world famous Otavalo Market, hike a volcano, visit a cloud forest, go whitewater rafting, travel to the Amazon region, and/or visit the equator line where you can see scientific experiments that can only be performed on the Equator. The majority of companies operating tours in the Galápagos and many of the mainland hotels will arrange for transfers between the airport and hotels on the mainland for their clients, making it extremely convenient after a day of travel. Check with the agency that booked your tour or your hotel to find out whether there is an additional charge for this service. You can ask about this services in our Travel Agency in Ecuador, Galasam. Upon arrival in Ecuador, everyone must go through customs and immigration. Visitors must have a valid passport good for at least six months after their visit. You will be given copies of your entry the time of writing, no visas are required regardless of your nationality as long as you are entering Ecuador as a tourist and plan to stay for less than 90 days. Make copies of all important documents (passport, air tickets, prescription medications, etc.). If they are lost, replacement will be much easier with copies in hand. Tourists traveling to Ecuador need private or public travel insurance. The insurance will be required for the time of stay for foreign persons entering Ecuador, to ensure your stay without setbacks.